But only if you own a Samsung Galaxy phone or tablet. 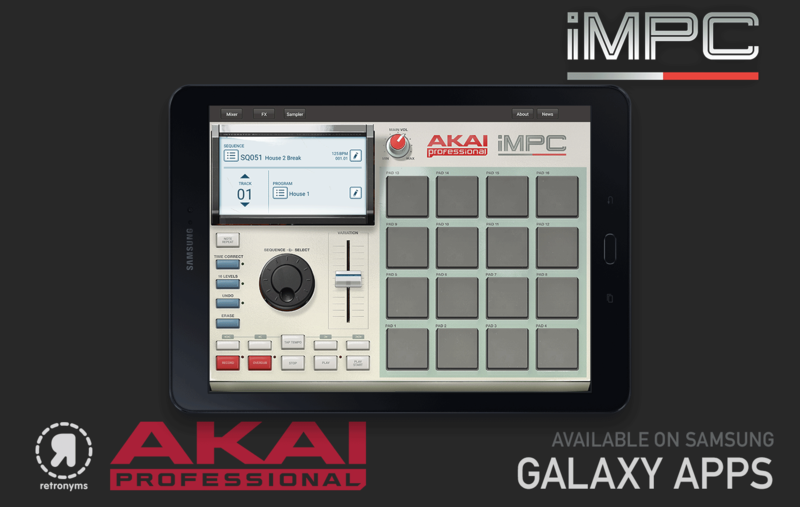 Akai's iOS-friendly iMPC app has been giving musicians and producers a much more mobile version of its MPC (Music Production Center) hardware for a while now. During MWC this week, the company is announcing a version for Android devices. There's a catch though: For now, it's only available on Samsung Galaxy phones and tablets. Despite that caveat, you can expect the same 1,200 samples, 80 editable sequences and 50 editable programs the iOS version offers. With iMPC, you can compose, edit and mix music on the go with your phone or tablet. The app supports up to eight audio or MIDI tracks and gives you the option of using built-in effects and overdubbing beats. There's also time correction and note repeat features on top of three different ways to record with the mobile software. You can use a Galaxy device's microphone, connect to another gadget via the 3.5mm jack or record directly from another music library with the iMPC's turntable interface. When the time comes, you can either export your work to the desktop MPC software or as a .WAV file. At launch, iMPC will only be available for Android devices through Samsung's Galaxy App Store. As you might expect, Akai says it worked directly with the phone and tablet maker to optimize the software for the newly announced Tab 3 and other Galaxy devices. If you happen to already own a Samsung gadget, iMPC is available for download now for £6 or $7 in the US.